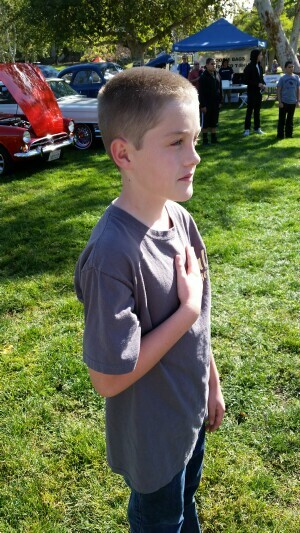 On April 27th 2014, SoCal Challengers attended the 15th Annual Burbank Kiwanis For Fun Foundation Car Show. Not only did we all have a great time looking at a very high quality collection of cars, but SoCal Challenger's members Tom Chalakee, Dave McIntosh, Danny Gogue and Greg Grill swept the award classes that we were in. In addition to that, SoCal Challengers member John Harris won in the class that he entered his race car! In particular these awards were nice to receive because all of the votes came in from the public; there were no "official" judges. The venue (Johnny Carson Park) was really nice with parking on the grass and a small creek running through the park. 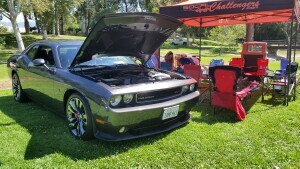 A beautiful day and a great time with the SoCal Challengers family!